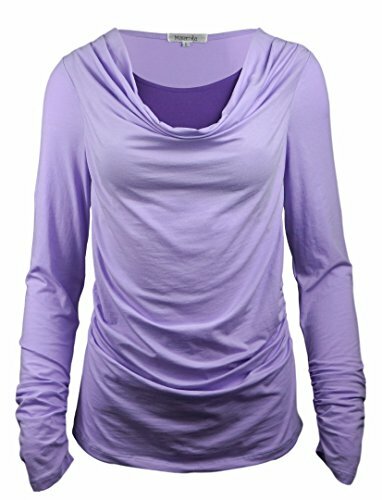 A very functional nursing top that is also stylish. Nursing moms can be glamorous too! The cotton fabric is soft and stretchy yet holds the shape. It had been prewashed before the garment was cut to minimize shrinkage. The ruched style is flattering, particularly if you still have a little baby bump : ) This is a top that you will be happy to wear even when you are no longer breastfeeding. Please disregard the "Size Chart" link and use the size chart in the images or details section to choose your size. Soft and stretchy cotton fabric that holds the shape throughout the day. Prewashed to minimize shrinkage. Bust: Small 34"-35", Medium 36"-37", Large 38.5"-40", X-Large 41.5"-43"
If you have any questions about this product by Maramita, contact us by completing and submitting the form below. If you are looking for a specif part number, please include it with your message.